You can't OWB concealed carry, the naysayers wheedle, only wearing inside the waistband allows you to truly keep a handgun covered. Well, that's completely wrong. Not only can you concealed carry with an OWB holster, professionals have been doing it for ages. Is it necessarily as easy as concealing an IWB holster? That's where OWB holsters can fall down, since they don't neatly tuck inside one's pants the way an IWB holster does. It's certainly true - an OWB holster is not as tuckable as an IWB holster. This does pose a challenge if a person is looking to concealed carry with an OWB holster. Naturally, IWB carry is a lot more concealable since a shirt goes over it so much more easily. Does this mean OWB carry is any less concealable? Not at all, but it does mean that you have to adopt some different measures in order to pull it off. After all, this is how a lot of professionals concealed carry. 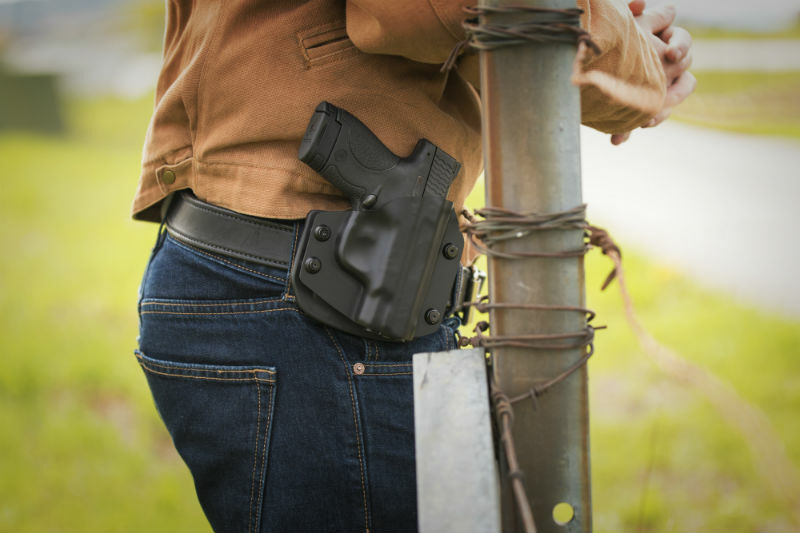 Federal agents, plainclothes police officers and so on - a good deal of the people who have to carry a gun because they happen to be in a more dangerous line of work do their carrying with a concealed OWB holster. That's part of why the FBI cant is a thing. Along with the overall ease of having a gun in this position, it also reduces the telltale printing that can occur with a perfectly vertical pistol on the hip. If people who carry for work can do it, everyone else can as well. If you prefer OWB concealed carry to IWB, there are ways to make it easier. First, you'll definitely need a strong gun belt. There's just no equivocating on this one; a good, strong gun belt is needed to keep the holster supported and in place. Next, consider the holster you're using. OWB holsters can be high-, mid-, or low-riding. The latter two are the most difficult to conceal, as each puts the muzzle well below the beltline. Low-riding OWB holsters put the muzzle practically in one's front pocket. 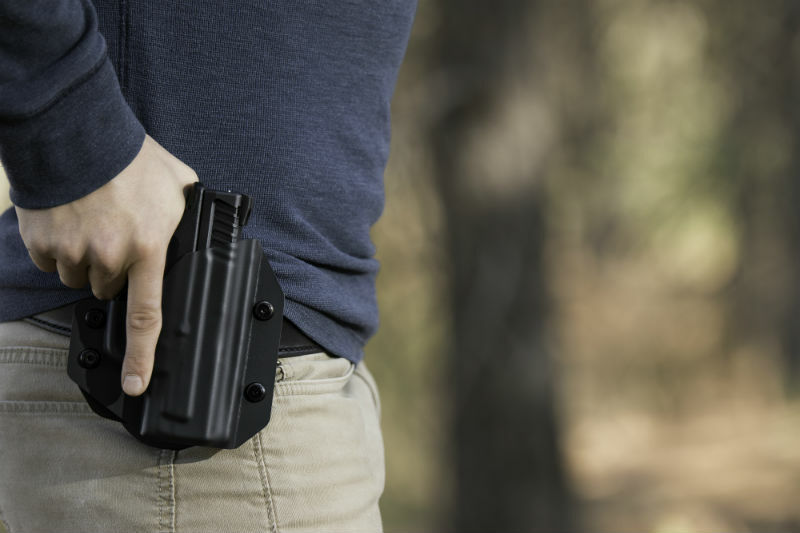 If you're planning to concealed carry with one, a high- or mid-riding OWB holster is going to be your best bet. 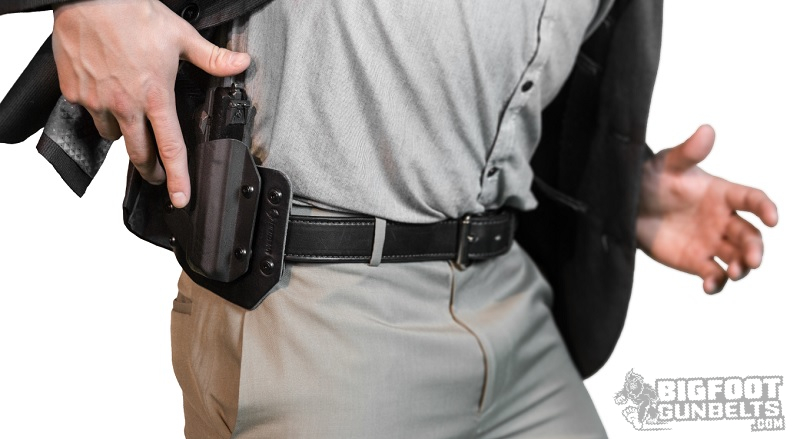 Not that you can't with a lower-riding holster, but the lower the holster rides, the more the carrier goes from possibly needing an outergarment to conceal to definitely needing one. 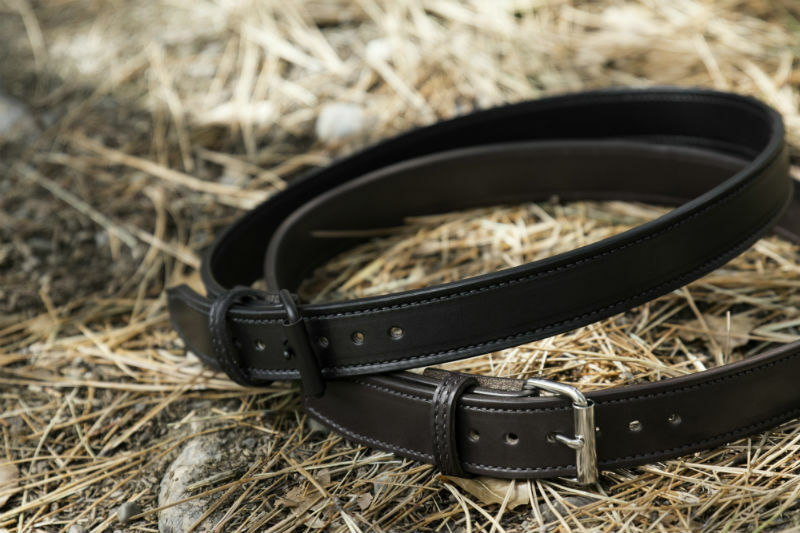 Belt slide or paddle holster designs don't matter as much; these only matter if you have a preference on how it attaches. A high-riding OWB holster sits high enough on the beltline to be concealed by an untucked shirt. Top tip - this is very easily done with a longtail button-up shirt, or buying a shirt in a "tall size." "Big and tall" clothing is proliferate, though it may require ordering online. That said, a tall-size shirt may be able to hide a high rider. If not, then that will require an outer garment of some sort. Naturally, a jacket or suit can easily cover up a pistol on the waistband. Many people leave their jacket open in order to have easy access, though some consider this a classic CCW "tell." One should opt for the lightest outerwear possible in warmer months so it's not out of place. Suit jackets and sport coats are very popular for the business formal/business casual crowd, but can be a source of printing or otherwise revealing, such as a side vent allowing a glimpse. Also, slim cuts (such as a form-fitting Italian cut) hug the body, which will print. Opt for a fuller cut if possible. Naturally, summer is going to be a concern. One reason why some people prefer IWB holsters for concealed carry (or tell others that OWB is only for open carry) is that you can still conceal during the summer time - just tuck a T-shirt or polo over your gun and you're good, whereas an OWB holster requires outerwear. Not necessarily, though. Plenty of button-ups can be worn untucked and unbuttoned with a T-shirt. If you position your holster further back on the beltline, you can avoid both printing AND needing a jacket. You can get incredibly casual concealing in this manner; an untucked short sleeve button-up with short and flip-flops is perfect in summer and can easily conceal an OWB holster. It really isn't that difficult - it just requires a little more preparation.